RADEE L. PRINCE was arraigned just after 8:00 am, this morning. His bail was set at 2.1 MILLION CASH. The charges applied to the affidavit include: (1) ATTEMPTED MURDER FIRST DEGREE, (2) POSSESSION OF A FIREARM DURING THE COMMISSION OF A FELONY, (3) POSSESSION OF A FIREARM BY PERSON PROHIBITED, and (4) CARRYING A CONCEALED DEADLY WEAPON. The suspect in this incident has been located and is in police custody. There will be a PRESS CONFERENCE at 8:30 pm tonight. The PRESS CONFERENCE will be held at the Wilmington Department of Police, 300 N. Walnut Street, Wilmington DE, 19801. We will convene in the police station. Enter on the Walnut Street side. 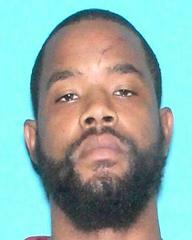 PLEASE BE ADVISED THAT ALL VICTIMS FROM EDGEWOOD, MARYLAND AND WILMINGTON ARE CONNECTED/ASSOCIATED WITH THE SUSPECT: RADEE L PRINCE, 37, OF WILMINGTON. The Wilmington Police Department, with cooperation from surrounding in-state and out-of-state police agencies, is conducting a search at this hour for a suspect wanted in connection with both a multiple shooting incident early this morning in Edgewood, Maryland and another shooting incident at mid-morning today in the 2800 Block of Northeast Boulevard in Wilmington, Delaware. The suspect is identified as RADEE L PRINCE, a 37 -year old individual from the 500 BLOCK OF KIAMENSI ROAD, in WILMINGTON. The suspect is known to have family in the Wilmington area. He should be considered armed and dangerous. 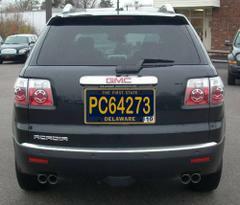 The WILMINGTON DEPARTMENT OF POLICE is releasing the attached photo. If anyone has information concerning the whereabouts of this person, please do not approach him, but call the WILMINGTON DEPARTMENT OF POLICE at (302) 576-3635. Agencies including the Delaware State Police, Maryland State Police and Pennsylvania State police are assisting WILMINGTON POLICE with today’s search and investigation of the incidents that occurred earlier today.